I've just spent 3 weeks in sunny Ecuador! It was fantastic to attend the II Latin American OI Congress in Quito. 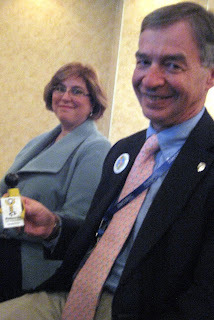 There was so much to see and so many new friends to meet. 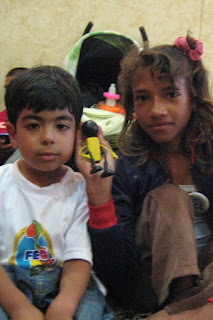 Here I am with Justin and Hilda. I was so very excited to meet the OI-team from Shriners Hospital Montreal and the famous Dr. Fassier! After the Congress it was time for some sight seeing. 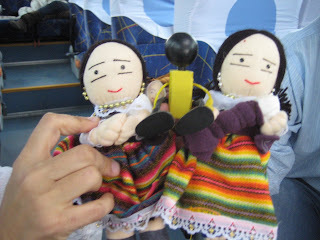 I went to the Otavalo Indio Market and met these delightful little puppets. and then was treated to a ride with my new friends on a "Chiva" during the "Fiestas de Quito" - an open bus driving through Quito's old town - viva Quito! I've had such a great time and have learned so much. 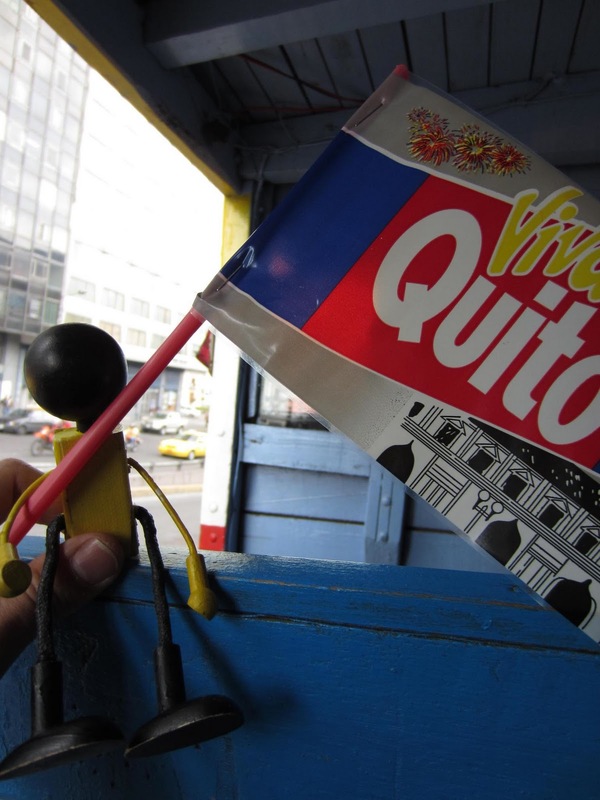 I hope that my new friends here in Ecuador are as excited as I am for Wishbone Day 2012. It's only 5 months to go! 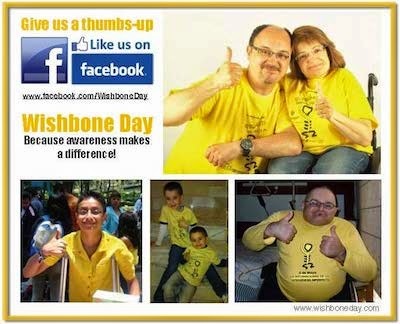 Have you started planning your Wishbone Day celebration? Click here to write me a note and let me know what you have planned.